This Friday (Oct. 5) I will have a piece in a group show titled "Shred Town". 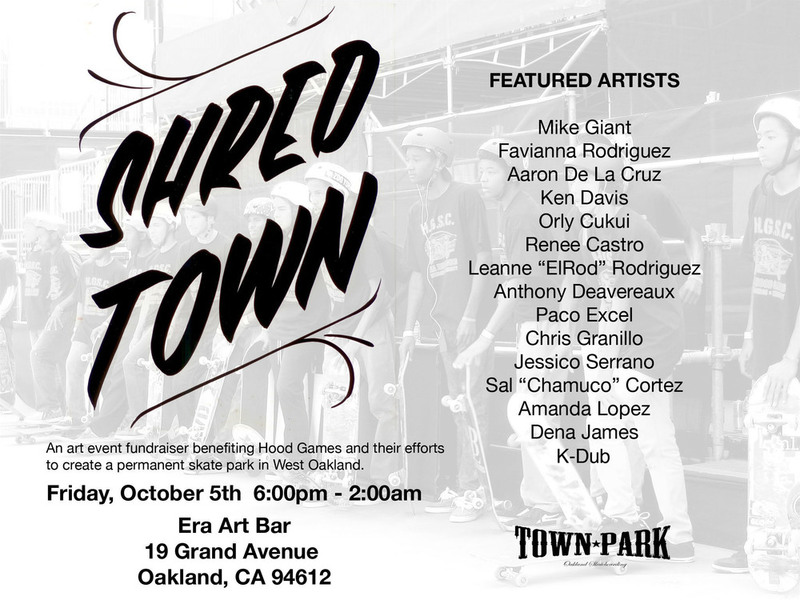 The show is part of a fundraiser benefiting Hood Games and helping create a permanent skate park in West Oakland. The show will be held at Era Art Bar in Oakland be sure to get there early if you want to dodge the hundreds of people who will be out at Oaklands first Friday event / Art Murmur (its gets packed!). Hope to see you there.